To recap on what we have seen in John 10 so far, Jesus leads every Christian into an ever deepening knowledge of God and into ever more abundant life. The picture of “Good Shepherd” in John 10 illustrates this most helpfully. This growth is at the heart of the Christian life, however long we have been Christians the expectation is that we will always be knowing God more and becoming more “alive” in him as time goes on. Why has God made it so that we need pastors to help us grow in our relationship with him? Principally, God gives the church pastors in order to bind us together in humility and love, to create church communities where agape can flourish. The pastoral gifting and call is not limited to those with the title “pastor”, but applies to all those who have responsibility for shepherding the church, so that includes elders too. 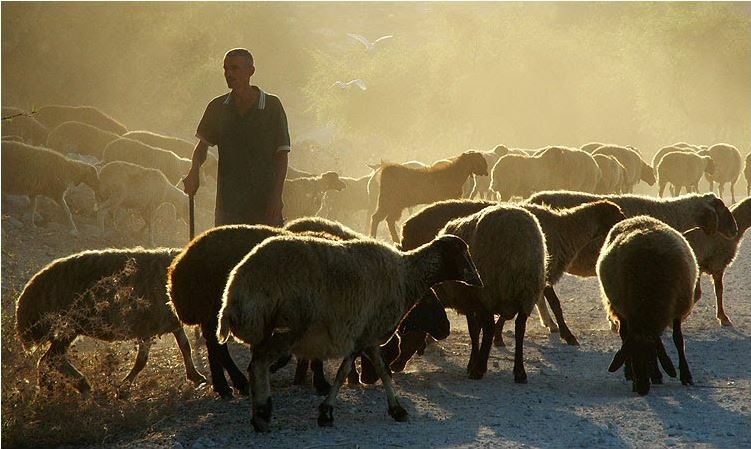 The main ways in which these shepherds of the church are to feed and lead their flocks is through the ministry of the Word and prayer. The ministry of the Word means the application of the truth that Christ reveals to the lives of his people. Historically this has taken different forms, but broadly speaking is done through the public ministry of preaching and teaching Scripture and privately through visiting, discipling and the like. Prayer makes up the other part of a pastors particular calling, we see in the personal comments of the Apostle Paul’s letters a good example of the prayerful concern that pastors should have for those under their care. While this part of the job is largely unseen, it is at least as important as the ministry of the Word. Membership of a church is primarily about being under the spiritual care of a particular pastor or group of pastors and committed to a particular group of people . This implies a depth of relationship with those who “keep watch over your souls”. Although a pastor can to some extent presume on this relationship to exercise his responsibilities, it is much easier when members enable this. This means that we should go to our pastors to help understand and develop our relationship with God, we should ask them to pray for us and seek their counsel. The Bible is very clear that a pastor’s ability to serve us is not dependent on experience or age, but on calling and God-given ability. (1 Timothy 4:12) This means that members young and old in years and in faith should seek to have a spiritual relationship with their pastor. We should seek to establish and protect full-time pastoral posts wherever possible. It is right that a significant proportion of a church’s income should go to providing a living for those who preach and teach the Gospel. When you give to our church a big part of the reason we ask for your financial support is to enable this ministry to happen. We should recognise and develop those who show the gifts and calling for pastoral ministry. Churches should also help pastors to focus on the core duties of ministering the Word and prayer by not burdening them with unnecessary extra duties or expectations. People who are looking to join a church should look for a church where they can have a real spiritual relationship with the church’s pastoral leadership. As a general rule, this is much harder (but not impossible) in a large church.